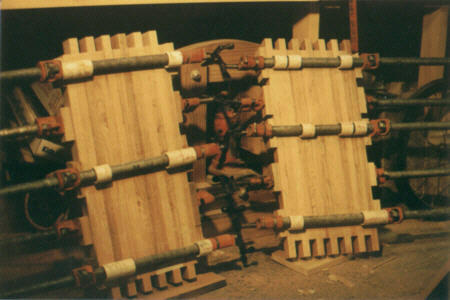 This shows a typical "glue up" process. The only unusual thing here is that all the pieces have been pre cut to size with an alternating stagger of longer and shorter pieces. Once the glue is dry and the top, bottom and sides have been fully sanded on their inside surfaces, they will be ready for assembly. During the assembly process, the alternating sized pieces will fit together in an interlocking "finger" joint. The important thing is not to get any glue into the interlocking areas. Otherwise the pieces will not fit together.